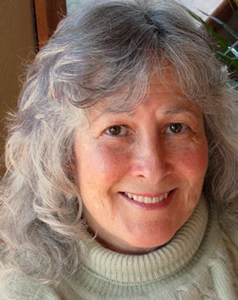 Robin Maxwell writes fiction putting strong heroines in compelling and fascinating situations. Readers love her vivid descriptions and fast-paced plots set against well-known historical circumstances. In February, Ms. Maxwell's latest book, O, Juliet , debuts -- a retelling of the familiar Romeo and Juliet story. AKN: You have made a career writing fiction about real people in extraordinary historical circumstances – royals and commoners alike. What drew you to writing historical fiction initially? Robin Maxwell: It's always been about the characters. The individuals who were so extraordinary, who achieved what no one before them had achieved. In two words, what caused me to start writing historical fiction: Anne Boleyn. I read a couple of Norah Lofts historical novels in which she was featured. Her story just boggled my mind -- this commoner who dared to challenge the King of England (and not just any King of England -- but Henry VIII, who had all his courtiers quaking and groveling at his feet). She refused to sleep with him for six years, DEMANDED that if he wanted her body and soul, there would have to be a marriage so their children would be legitimate. This woman who guided a most Catholic king (the pope's beloved "Defender of the Faith") to the Protestant Reformation. This woman who was publicly murdered because she gave birth to a daughter (who grew up to be the greatest ruler of the millennium). You just can't beat that with a stick. AKN: Your last two books, Signora da Vinci and O, Juliet , take place in Italy, but you started your career writing about England and Ireland. What was it about Italy that attracted you for these books? Robin Maxwell: Again, it wasn't Italy that drew me. It was a person -- Leonardo da Vinci. I'd originally wanted to write about the single most brilliant, creative mind in human history, but my publishers wanted a female angle. I chose Leonardo's mother, Caterina, for the voice, and only when I started researching the period did I find a treasure trove of philosophy, science, art, heresy...and of course the Medici. I ended up falling totally in love with Lorenzo the Magnificent. AKN: How do you research your books before you begin? Robin Maxwell: I buy book, dozens and dozens of books, read them, mark them up, take notes, organize the notes into subjects, fill notebooks. I use the internet extensively, especially to "travel" to locations I've never been. See pictures of the interiors and exteriors of castles. Now I can travel a road through the country from city to city, walk the streets of Florence and Rome on Google Earth. I can climb to the top of the Florence Duomo by watching other people's Youtubes of the climb. I interview experts. For O, Juliet I spoke at length to an Italian gentleman who owned a 13th century olive orchard, oil press and villa in the hills south of Florence where "my" Romeo's family own their olive orchard. The man was an historian of Tuscany and of olive oil lore. I also discover what people were seeing, smelling, eating, reading, playing at, praying at and terrified of in a given place or period. Then I just sit there and imagine what it must have felt like to be a person living it. I pick up a pen and begin to write. AKN: With O, Juliet you are tackling a story that most American high school students study: Shakespeare’s Romeo and Juliet. What challenges did you encounter when retelling a story that lives in the popular consciousness? 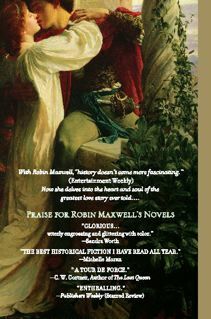 Robin Maxwell: I decided beforehand that I was not going to be cowed or constrained by trying my hand at the same story Shakespeare immortalized. There'd been three Italian short stories of Romeo and Juliet that pre-dated the Bard's play, and there were elements of all of them that I borrowed for mine. What I set out to do was expand the scope of the basic story -- lengthen the time over which it played out (in Shakespeare's version it was several days, in mine several months). I added details, fleshed out characters. I even changed some characters and gave others motivations that appeared nowhere else. Some of the book's harshest reviewers take exception to my creation of Jacopo Strozzi -- the man whom Juliet's parents arrange for her to marry. I wanted him to be a loathsome creature (I'm a great believer in bad guys really being BAD), but some folks are not happy about my description of him. I have to laugh when I see criticisms that "Maxwell is no Shakespeare." I assume those readers imagined me trying to one-up him. How dare I try my hand at "Romeo and Juliet"? So while I didn't feel particularly challenged by putting my own spin on a subject written by one of the greatest authors of all time, there are, apparently, those who will do it for me! AKN: O, Juliet moves the primary action from Verona to Florence, seat of the Medici, and you utilized the city’s landmarks including the Duomo and San Marco as important locations in the book. Why did you choose Florence over Verona? Robin Maxwell: While I uncovered the fact that the historical figures on whom Romeo and Juliet were based played out their drama in Florence, to be perfectly honest, the major reason I chose that city was that I'd just finished a mind-shattering bout of research and writing about Florence for Signora da Vinci, and I wanted to make use of my in-depth knowledge of the city before setting it aside. Its most dominant landmark, the Cathedral, became a fabulous setting for some of O, Juliet's most memorable moments -- the Dante Symposium where Romeo and Juliet have their first rendezvous, and the cathedral dome, which they climb together at midnight. I was also very taken with the Medici. This was the family that single-handedly set the stage for and brought to full flower the Italian Renaissance (which was the FIRST Renaissance, spreading out the Europe and England in later years). I had already used Lorenzo the Magnificent's mother -- Lucrezia -- in Signora da Vinci, and I adored her character. In fact my editor had suggested I write a book about her. Instead I took the story back several decades and made her Juliet's best girlfriend. Lucrezia's father-in-law-to-be -- the indomitable Cosimo de' Medici became a small but pivotal character in O, Juliet. AKN: Your Juliet and Romeo are devotees of Dante, Florence’s most beloved poet. You must have immersed yourself in Dante’s writings in your research. Why do his words still have power today – nearly 700 years after his death. Robin Maxwell: I had never read Dante before starting my research for O, Juliet, and I was only aware of The Divine Comedy, The Inferno. When I realized that he'd written love poetry to Beatrice in a book called Vita Nuova (New Life) and discovered that the man was regarded as almost a God by Italians (even dead for 150 years he was a rock star) I just started reading and found that his words were unbelievably tender and beautiful. From: "Whenever and wherever she appears, / In anticipation of her marvelous greeting, / I hold no man my enemy" to: "Love is insane!" I feel he writes of love with a purity and passion that makes it timeless and relevant all these years later. Actually, I can't explain it very well. I just feel it's true. AKN: When you spend time in Florence, how do you like to spend your days? What are your favorite haunts in the city? Robin Maxwell: Funnily enough, I've never been to Italy, except in the ways I've described -- through books, the internet, Google Earth, YouTube, interviews. But I'm DYING to go. I've had an invitation by a food blogger who lives in a small Tuscany hill village ( Aroma Cucina Food Blog ) who's written about the recipe found in Signora da Vinci, to visit and partake of the wonderful local cuisine. Let me at it! AKN: What’s next? Are you playing with any ideas for your next novel? Robin Maxwell: I'm afraid I can't discuss the next book yet, as it's not a done deal. But I can promise you it's going to be a humdinger. Intrigued? 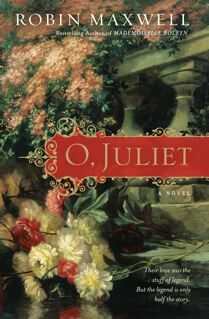 If you are a lover of historical fiction, I highly recommend O, Juliet. To that end, I've added O, Juliet and all of Robin's other books to The Gypsy's Store. I make a small commission on every sale at The Gypsy's Store, and during the month of January all that money goes straight to Haiti earthquake relief efforts. Check out Robin Maxwell's website and blog. And be sure to enter her O, Juliet poetry contest running now through February 2. Thanks for the great interview! Had never heard of this author before but am now heading out to buy O Juliet!